Melodious Strings is a leading professional string quartet and string ensemble company founded in the beautiful Shenandoah Valley, and is comprised of professional and experienced string performers who travel to special events from all over Virginia. We perform for wedding ceremonies, cocktail hours and receptions, business events, and a wide array of other types of events in the Shenandoah Valley, Richmond, Roanoke, Northern Virginia, Maryland, and Washington D.C. We specialize in providing elegant and professional string quartets, trios, duets, soloists, and other types of string ensemble music for events and venues. Melodious Strings consistently delivers great music and professionalism to your event, as well as creates a great atmosphere and repeatedly satisfies their clients' needs. Look through the following, as well as our testimonials page, for the great feedback that we constantly receive from our clients. Melodious Strings is a string quartet founded in the beautiful Shenandoah Valley of Virginia. Our goal is to provide you with high quality and custom-designed music plans and packages for weddings and other special events. At Melodious Strings we believe that every event is unique and one-of-a-kind, and should be treated as such. To achieve this, we work closely with every client to create a unique and individualized music plan and a specific repertoire list for their special event. In addition to providing a unique and personalized approach to every client's event, we are also known for our flexibility-meaning that we are more than happy to spend the time and effort with you to figure out how best to serve your needs. We love planning with our clients, and we would be honored and thrilled to help you. 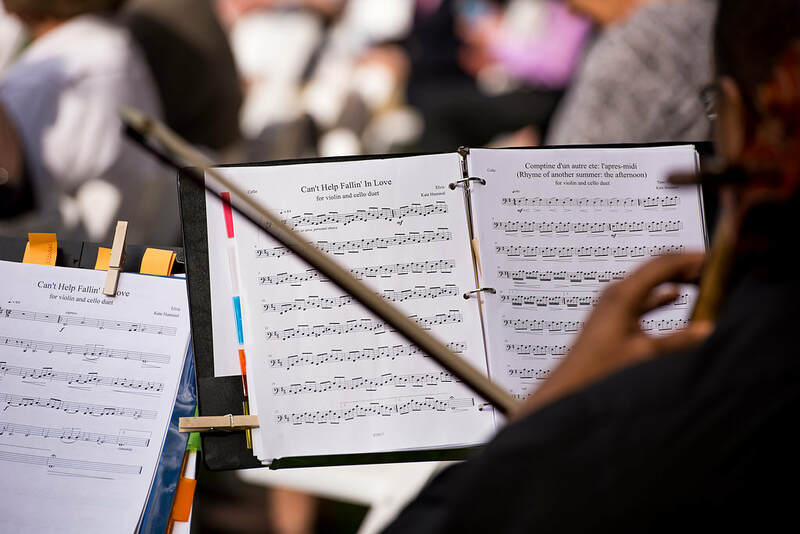 Another benefit that sets us apart from other string ensemble companies is that we provide a very large list of repertoire that includes genres such as Classical, Pop, Rock, Celtic/Irish, Sacred/Religious music, soundtracks and game scores, and much more. To put our clients' minds at ease, our musicians are professionals; meaning extremely reliable and rigorously-trained musicians who do this on a regular basis. In addition to all that, we also arrange the pieces you love (pop, rock, new age, movies, etc.) for any string ensemble of your choosing, be it quartet, trio, duet, solo, or other type of string ensemble you pick for your special event! ​Our clients really love and hire us for these great benefits. Check out our great testimonials from our clients on our testimonials page. "We chose Melodious Strings for our wedding ceremony and cocktail hour in Mcgaheysville, VA at The Columns at Six Penny Farm on June 4th, 2017. Kate is great to work with and makes the entire process simple. Their set list is better than any other in the area and we got so many compliments on her and Michael's violin duet performance at the ceremony and again during the cocktail hour outside on the patio. If you really want to wow your guests with amazing outdoor ceremony, you've gotta have live music and Melodious Strings is an unbeatable value. They are very experienced and very professional. 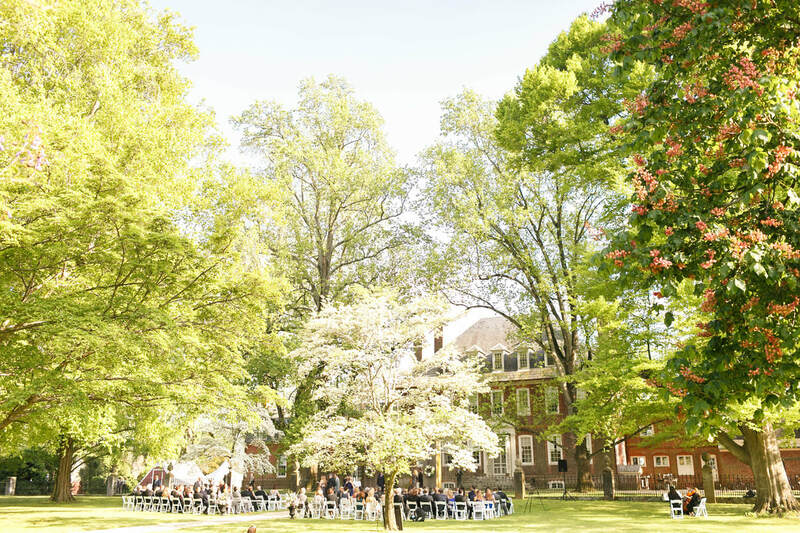 I would highly recommend them to anyone getting married in the Blue Ridge Mountains." A Melodious Strings Trio performed at Westover Plantation in Charles City, Virginia, for a wedding ceremony and cocktail hour, performing such favorites as Ave Maria, and "Shut Up and Dance" by Walk the Moon. "I feel extremely lucky to have found Kate to perform our wedding ceremony music. She was a pleasure to work with from start to finish. Kate was very informative and willing to help me plan out music for each part of our ceremony. She was very open to my ideas and offered her opinions which I really appreciated. Wedding planning can be so stressful and having someone like Kate to work with really helped ease my mind. She was easily my favorite vendor! We received so many compliments on the ceremony music and I could not stop singing her praises." "Katherine and her team were amazing! I had emailed them in a bit of a panic about a week or two before my wedding and they responded immediately. Booking the Melodious Strings Quartet for my wedding ceremony ended up being one of the most stress free things of my wedding. I was able to plan each piece of my ceremony, as they have a huge selection to choose from, and Katherine was very on top of things. Having them play as our guests arrived and during the processional and recessional really added something special- I would definitely recommend them!" "Professional and talented. Flawless and beautiful. Will call on them again." "Melodious Strings is a wonderful ensemble and perfect for your wedding! In fact, I had requested that they play my all time favorite song from Amelie - and even though it was originally composed for piano, they arranged that piece for violin and cello! Highly recommended!!!" "The quartet with Melodious Strings performed a wonderful top-notch job for our wedding ceremony and cocktail reception. They were extremely professional in their performance and could adjust on the fly to the flow of the wedding ceremony itself. We are very pleased with their service and recommend highly." See even more of our great testimonials on our Testimonials page. Contact us for more information and free estimates. We respond to inquiries in a timely manner.